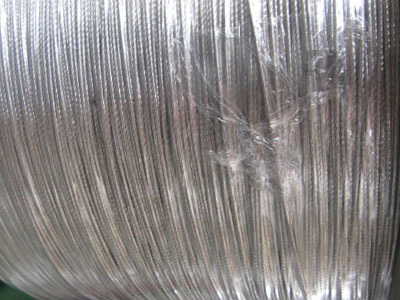 Incoloy 27-7MO wire and products in other shapes are provided by Stanford Advanced Materials at competitive price. Inconel®, Incoloy®, Monel® are Registered Trademarks of Special Metals Corporation and its subsidiaries. Incoloy alloy 27-7MO is an advanced 7% molybdenum super-austenitic stainless steel offering corrosion resistance in most environments superior to 6% molybdenum super-austenitic stainless steels. In many environments Incoloy 27-7MO (UNS S31277) offers resistance approaching that of much more highly alloyed materials such as INCONEL alloys 625, 22, and C-276. Incoloy 27-7MO products typically contain 27% nickel, 22% chromium, 7.2% molybdenum, and 0.34% nitrogen. By virtue of its content of molybdenum, chromium, and nitrogen, alloy 27-7MO offers excellent resistance to pitting and crevice corrosion. The nickel, nitrogen, and molybdenum provide resistance to reducing media while a high content of chromium offers resistance to oxidizing media. Incoloy 27-7MO performs well in mixed acid environments, especially those containing oxidizing and reducing acids. As Incoloy 27-7MO offers a unique combination of corrosion resistance, high strength and ease of fabrication, it is applied in many industries, such as pollution control, power, marine, chemical processing, pulp and paper, oil and gas etc.